.Why become a member of the BTO? Thank you for your interest in joining BTO. By becoming a member you can help ensure our long history of impartial science can continue to inform our understanding of birds’ lives in a changing world. A BTO gift membership is a great way of supporting the work of the BTO whilst providing a unique and special present for your friends or family. Gift memberships include a full welcome pack complete with a year’s subscription to our fantastic members’ magazine BTO News. 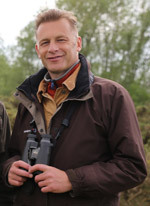 - Chris Packham, BTO President. An increasing number of our members demonstrate their commitment to our work by becoming benefactors. The title 'Benefactor' is awarded to one or two members, who individually or jointly, are able to give £10 or more a month for their membership. It comes with all the usual benefits, plus we'd be happy to include any additional BTO journal subscriptions you would like. As a small token of our thanks, we've commissioned an exclusive BTO Benefactor lapel badge which we hope you will wear with pride. Benefactors help increase our financial independence and shield us from reductions in government income for research. They go a long way towards securing the longevity of our gold standard monitoring schemes. Alternatively, consider Life Membership - Allow us to put a lifetime of membership support to good use now. Existing members can upgrade to become a benefactor when they renew. If you pay annually and this payment has recently been debited at your existing rate, we will only process the balance payable. If you would like us to keep your previous payment as a donation, just let us know. from a strong network of scientists and fellow young birders alike." With Young Birder membership you will secure a connection with the BTO that will help you get directly involved in our vital research as a citizen scientist. You’ll have fun gaining a deeper understanding of our birds and learn new skills to enable you to help them - your own birdwatching will provide information that is at the heart of conservation. BTO members recieve four issues of BTO News every year. More information on BTO News. Bird Study is vital reading if you are interested in field ornithology - especially related to evidence-based bird conservation. More information on Bird Study Journal. Ringing & Migration is the journal of the BTO ringing scheme. It is published twice a year and includes the annual report on bird ringing in Britain & Ireland for the preceding year. More information on Ringing & Migration journal. "Birds are important to us, and we've had so much pleasure from watching them, it's good to give something back. Besides, bird surveys really are great fun!" 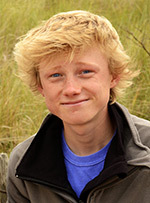 "The BTO community has provided me the best opportunity to engage with, be inspired by and receive mentoring from a strong network of scientists and fellow young birders alike." "I find the BTO News and the emails I receive helpful and inspiring - well worth the annual subscription. Anyone who is serious about their birdwatching would benefit by being a member of this outstanding organisation."